What is Acura SH-AWD®? FInd Out at Acura of Huntington. Available on a range of new and pre-owned Acura vehicles, Super Handling All-Wheel Drive™, or SH-AWD®, is a groundbreaking drivetrain system that is electronically controlled. SH-AWD® is able to monitor conditions in order to deliver sharp handling and superior fuel economy for drivers throughout Commack. While the SH-AWD® system has earned its reputation for performance, its also an incredibly efficient AWD system when compared to others on the road. That’s because SH-AWD® is designed to deliver up to 90% of power to the front wheels under normal driving conditions on the highway at relatively constant speeds and straight road conditions. 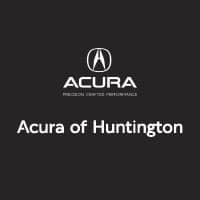 Check Out an Acura SH-AWD® Vehicle Near Commack! Make your way from Dix Hills or the surrounding areas to come check out special offers on the Acura MDX and other Acura models equipped with SH-AWD®. Our dealership is located at 359 West Jericho Turnpike in Huntington, NY, and we’re open for sales seven days a week. Apply to finance a SH-AWD® Acura model through our finance department, and contact us with any questions you might have. 0 comment(s) so far on What is Acura SH-AWD®?